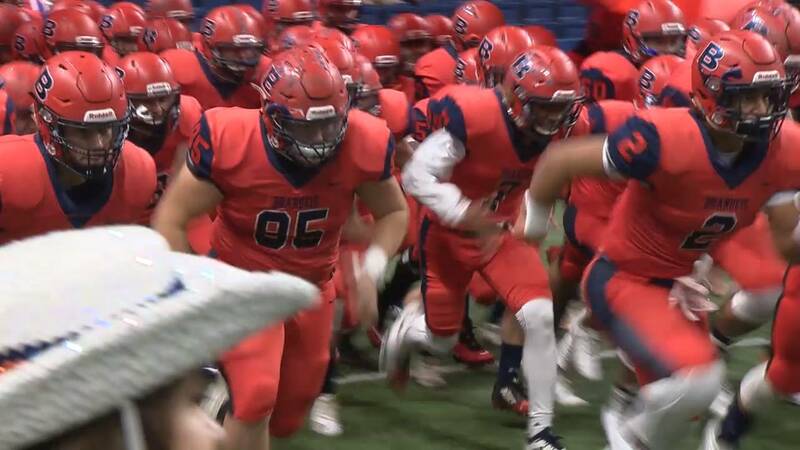 SAN ANTONIO, Texas - The Brandeis Broncos will play in the nightcap of a football playoff triple-header at the Alamodome this weekend, and they will face Austin Westlake for the very first time -- with the Class 6A Division II Region IV Championship on the line. Battles is a big reason why the Broncos have advanced this far: with Brandeis trailing Brownsville Hanna 26-7 at halftime of last weekend’s third-round playoff game, Battles accounted for four total touchdowns, two passing and two rushing, and threw the eventual game-winning 9-yard touchdown to Brandon Pake in the 33-32 comeback win. Against a team like the 12-1 Chapparals, a slow start could prove to be the Broncos’ undoing, but the team believes they’re up for the challenge. Kickoff between the Broncos and Chapparals is set for 6 p.m. this Saturday in the Alamodome.